Though Congress and BJP have rejected the demand for full statehood for New Delhi, Chief Minister Arvind Kejriwal’s pitch for the same seems to have gained currency among the poorer section of Delhiites. In his public rallies, Kejriwal often receives claps and cheers when he speaks about the benefits the people of Delhi would enjoy if the capital city is granted full statehood. When the issue of full statehood was first raised by Kejriwal as a poll issue a few days back, it was snubbed as impossible and impracticable by many. It was seen as impossible because major political parties like Congress and BJP refused any support to the cause raised by AAP. 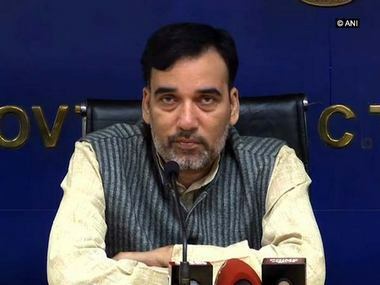 It is a known fact that, for Delhi to become a full fledged from an union territory, a constitutional amendment is required, which is impossible without expressed support from many parties. 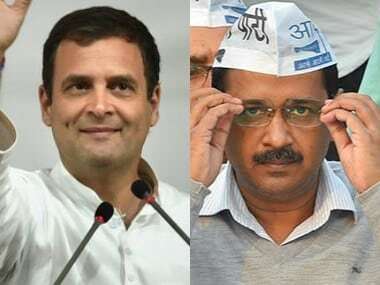 But Kejriwal has said that Andhra Pradesh chief minister Chandrababu Naidu and West Bengal chief minister Mamata Banerjee have promised support to him on this issue. The Delhi chief minister has also said that class disparity is a problem which will be solved if Delhi gets full statehood. According to a study conducted in 2009, more than half of Delhi’s population lives in slums. Thus, a livable home is an important issue for this population. Though a number of housing projects have been declared over the years, very few of them have materialised. Navjeevan camp locality, which in itself is a huge cluster of haphazardly built shanties, is one of the biggest sufferers of the housing problem in Delhi. “For the last five years, the DDA has been building a huge cluster of flats in our locality. We were told that residents of Navjeevan camp would be allotted flats there. But no none has done that,” said Raju Ahmed, who lives by repairing bikes. They have asked the local AAP workers whether the promise to give them homes in the new building would be fulfilled with full statehood. No wonder that the demand for full statehood, which comes with the promise of a home, strikes a chord with the masses here. “I think Delhi should be given the powers of a state as it would bring police and DDA under it, solving many of the problems faced by us,” said Munna Khan, another resident of the area. Issues related to caste, creed and religion hardly matter to the impoverished people living in the Navjeevan camp, as earning daily bread is the prime struggle here. “Both Hindus and Muslims live in Navjeevan camp in complete harmony. We never fight over religion,” said Ram Lal, a retired employee of a public sector undertaking. More than anything else, hopes of housing, jobs, education and healthcare matter for the people living in Navjeevan camp. Hence, Kejriwal has further promised that if Delhi becomes a state, 85 percent of the jobs in government sector and 85 percent of seats of new colleges would be reserved for the residents in Delhi. Kejriwal’s words sounded convincing to Raju Ahmed, who never went to school. “I think there are people everywhere who are hindering Kejriwal’s path. 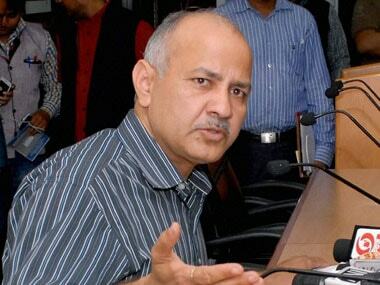 This problem would be solved if Delhi becomes a state," he said. Though many people in the area are convinced that the quality of services provided by the Delhi government has been enhanced many times, there are still problems with the conduct of the AAP MLAs. “After the election is over, they hardly visit the area. In our area, we still do not have piped drinking water. We are supplied water by tankers. But tankers never reach in time and we lose valuable working hours waiting for them. We have found no solution to the problems despite repeated complaints,” said Khan. But he also said that he has yet not decided whom he would vote for in the Lok Sabha polls.